Glenbeigh is just a short walk from Foxrock village. Ardilea Crescent is close to the DART and the Green Line Luas for city centre access. Don’t be surprised if you wake up to birds singing in your bedroom. Marsh Farm House is listed as a protected structure. What can I get in Ireland right now... for €550,000? From a pretty-in-pink Wexford home to a five-bed in Galway. Choose from four or five bedrooms at Albany. Snap up a new build with a budget-friendly price tag in Co Sligo. Here’s what’s on offer right now. The new rules will mean notice periods given to tenants by landlords will be extended. Plus, Primark gets a new Belfast premises following a fire earlier this year. From​ Dundrum to Artane -​ ​this​ ​is​ ​the​ ​best​ ​of​ ​what’s​ ​on​ ​offer​ ​in​ ​Dublin this week​. The​ ​best​ ​of​ ​what’s​ ​on offer​ ​around​ Ireland ​this​ ​week. 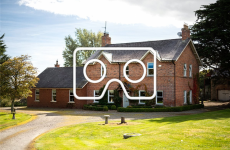 ​​From Louth to Kerry -​ ​our pick of the​ ​properties​ ​available​ ​right​ ​now.